Last week, Discovery Channel in the USA and Canada presented Shark Week, one of the most popular series of shows on TV. Discovery Channel has made a meal out of Shark Week and the numbers of viewers it brings has made it a true cult classic. The following story it involves sharks, and football, and somehow it was missed by the producers of Shark Week on Discovery Channel. Hold on to your seat, because this story is as incredible as the plot line in the movie Sharknado, only not as bloody or gruesome. Kim Thomsen is an Australian Liverpool supporter that enjoys the outdoors, but more specifically fishing. In August of 2012 he was fishing for snapper with his nephew and friend when a wave hit his boat and threw them overboard. A second wave then hit the boat and sunk it leaving the three men at sea with no rescue in sight. The three men tried to swim to shore, according to Kim, but they never made it. His nephew’s body was never recovered, while his friend drowned as they tried to swim to safety. Kim was left all alone in the water. Kim was eventually rescued, when he was spotted by a TV crew that was flying by the area in a helicopter. He had been in the water for 19 hours at this point. If surviving 19 hours in the ocean off the coast of Australia surrounded by sharks is not incredible enough, Kim claims that the only reason he survived this ordeal is the tattoo of the Liver Bird on his arm with the club motto “You’ll Never Walk Alone”. Of course the tattoo doesn’t hold special powers, or it doesn’t work as a shark repellant. 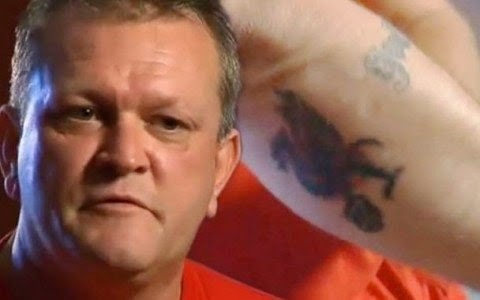 In his own words the power of the Liverpool tattoo and slogan played a much deeper and spiritual meaning in his survival. Kim’s story is incredible. How the love, he and his son share for Liverpool and the tattoo they both share gave him the mental strength to continue, when perhaps physical strength was lacking. He was also very lucky, nobody can deny the fact that he was in the water for 19 hours with sharks all around. He was never bitten and managed to survive long enough to be rescued. If you ever decide to get a tattoo of your favorite club and your wife gives you hell about it, bring up this story and explain to her that some loves are beyond the earthly realms of understanding. Kim truly believes the love he shares with his son towards Liverpool is the sole reason of his survival; I wish his wife the best of luck.